After months of protests, Polish policemen officially ended their nation-wide strike on Thursday. “The agreement signed today is the best agreement we managed to negotiate. 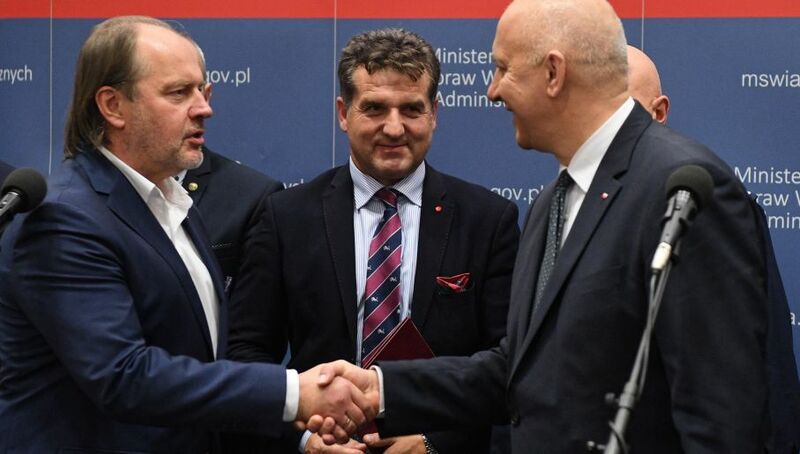 It is not perfect, however, but for today I consider it a milestone”, the head of the Polish Policemen’s Workers Union said at the press conference on Thursday evening. Details of the agreement are yet to become public. The policemen’s protest started this summer. In October, around 30,000 of them protested in Warsaw. Their main demands were improvements in working conditions and pay rises. Since the end of October, the strike entered another phase as a wave of mass sick leave spread throughout the Polish police. It was reported that this week more than 14,000 officers were absent from work. The agreement should now lead to these police personnel returning to their regular duties.